Wanting that finishing touch to compliment your custom made draperies? Then you need drapery hardware for that total WOW factor. Drapery hardware can be decorative, to enhance the beauty of the treatment, or drapery hardware can be strictly conventional made primarily for function and designed to be concealed behind the window treatment. 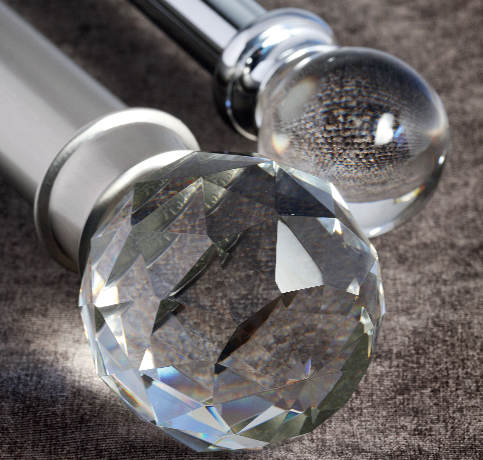 We offer numerous hardware and accessory options such as decorative finials, curtain rings, ornamental brackets, swag holders, tieback holders and much more. Looking for specialty drapery hardware? – We’ve got it! 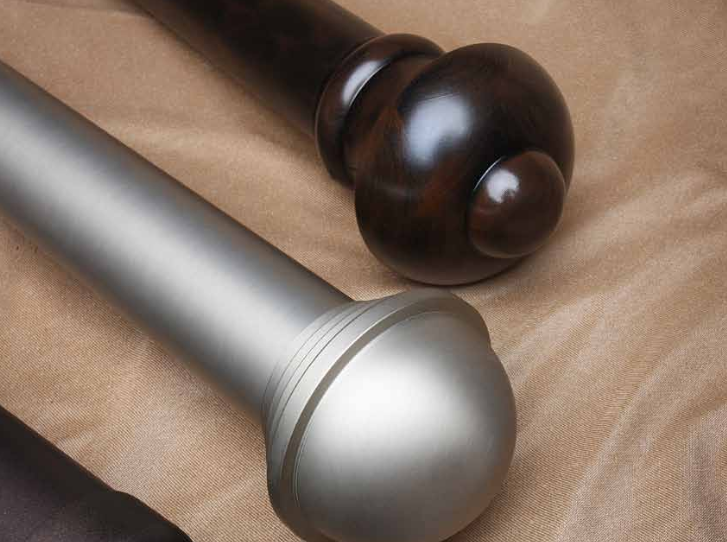 We carry a large selection of unique metal and wood finished drapery hardware. 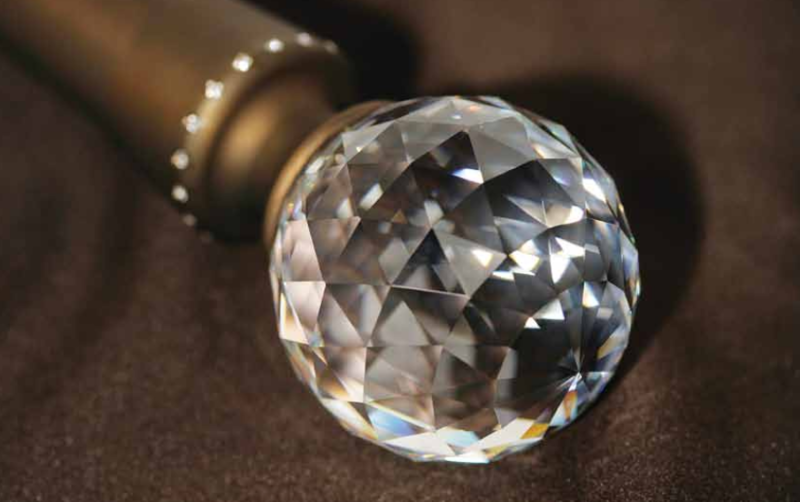 Our vast selection of designer finials, brackets and rings, are sure to compliment your custom draperies and provide that final touch to your interior. Looking for something more basic, we carry standard hand and cord drawn drapery and curtain rods as well. Have a unique size requirement? We cut to measure and provide custom drapery track solutions as well. 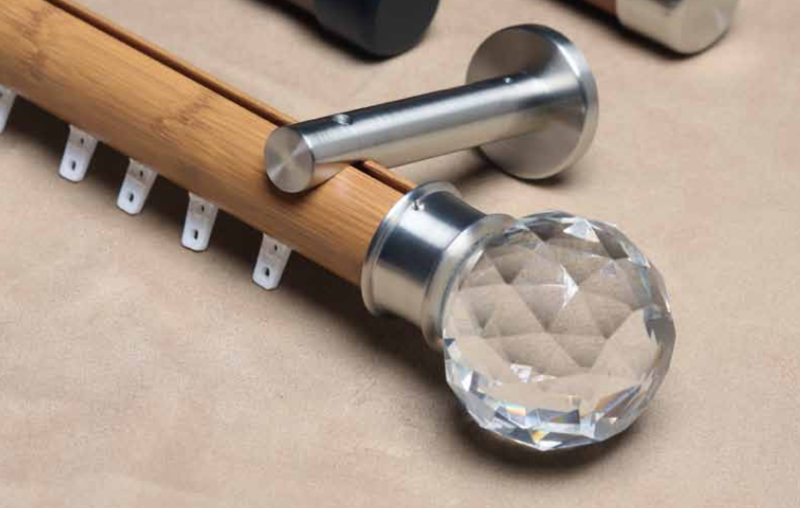 We carry an extensive list of decorative hardware for all your window covering needs . Looking for something more contemporary? We carry basic hardware accessories too. Our products are distinctive in design and finish, yet strong, practical, and durable. 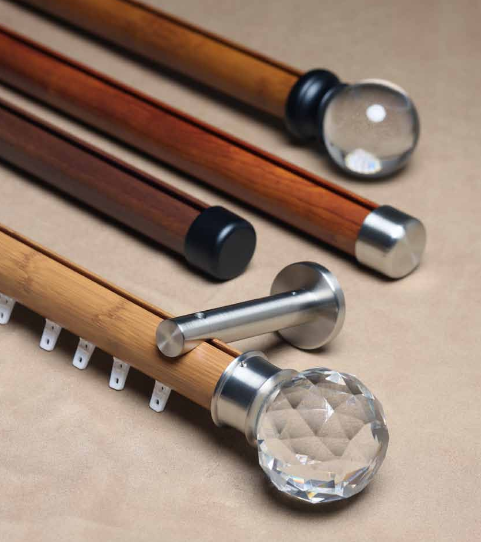 Our cut-to-measure drapery hardware and custom bending solutions provide that WOW factor. Modern day solutions with an Old World charm. Let our mobile showroom show you hardware options. Let our design experts show you the perfect window covering options in the comfort of your own home. Copyright 2017 | All Rights Reserved | S. Laursen & Son Draperies & Blinds LTD.